Should the Consumption of Animal Products Be Banned? 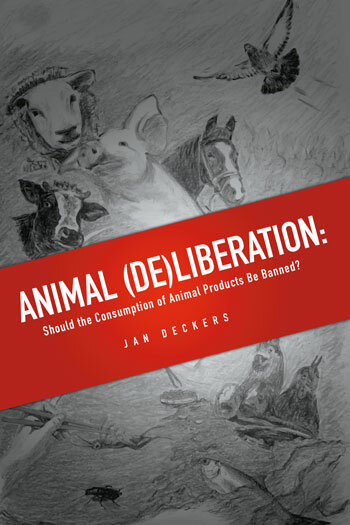 In this book, Jan Deckers addresses the most crucial question that people must deliberate in relation to how we should treat other animals: whether we should eat animal products. Many people object to the consumption of animal products from the conviction that it inflicts pain, suffering, and death upon animals. This book argues that a convincing ethical theory cannot be based on these important concerns: rather, it must focus on our interest in human health. Tending to this interest demands not only that we extend speciesism—the attribution of special significance to members of our own species merely because they belong to the same species as ourself—towards nonhuman animals, but also that we safeguard the integrity of nature. In this light, projects that aim to engineer the genetic material of animals to reduce their capacities to feel pain and to suffer are morally suspect. The same applies to projects that aim to develop in-vitro flesh, even if the production of such flesh should be welcomed on other grounds. The theory proposed in this book is accompanied by a political goal, the ‘vegan project’, which strives for a qualified ban on the consumption of animal products. Deckers also provides empirical evidence that some support for this goal exists already, and his analysis of the views of others—including those of slaughterhouse workers—reveals that the vegan project stands firm in spite of public opposition. Many charges have been pressed against vegan diets, including: that they alienate human beings from nature; that they increase human food security concerns; and that they are unsustainable. Deckers argues that these charges are legitimate in some cases, but that, in many situations, vegan diets are actually superior. For those who remain doubtful, the book also contains an appendix that considers whether vegan diets might actually be nutritionally adequate. Appendix: Might a Vegan Diet Be Healthy, or Even Healthier?